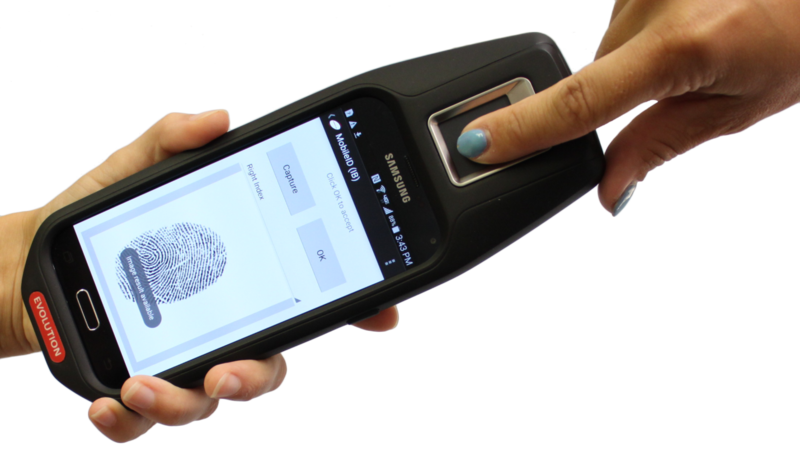 The Pennsylvania Chiefs of Police Association and the Pennsylvania Commission on Crime and Delinquency’s Local Technology Workgroup and in cooperation with the Pennsylvania State Police is providing Mobile ID equipment to police departments to conduct fingerprint searches from the field. In cooperation with the Pennsylvania Justice Network, the Association has established a secure server and infrastructure to receive the transmissions from the Mobile ID device and transmit it securely to the Pennsylvania State Police Automated Fingerprint Identification System (AFIS). Over the last two years the Association has provided 234 units to police departments. The Association provides the DataWorks Plus Model Evolution Rapid ID Device. These devices operate on a managed secure cellular network that is the only one approved by the State Police and is included with the device. The devices can be purchased only through the Association. The devices come with full system and device maintenance and the first year’s cellular service. A new device is $2,500 and there are a few refurbished devices available for $990. After the first year, the police department will be responsible for maintenance fees and cellular service. Currently,the system and device maintenance fee is $582.00 and the secure cellular service is $408 per year per devices. 5 A copy of the police department’s Appropriate Use Policy on the department’s letterhead. 6. The Association will provide technical training on the operation of the device and provides this training guide.